With founding support of mobile network operator DTAC and 16 other leading companies, Operation Smile Thailand was established to offer free surgical treatments to children with cleft lip and cleft palate (CL/CP). Up until now, more than 8,000 kids have regained their beautiful smiles and a happier life they deserve through the sponsorship of this foundation. Many parents are shocked, unable to accept the fact that that their newborns have CL/CP. While some decide to abandon their own child, others are too impoverished to afford a surgery and do not have the knowledge to deal with the problem. 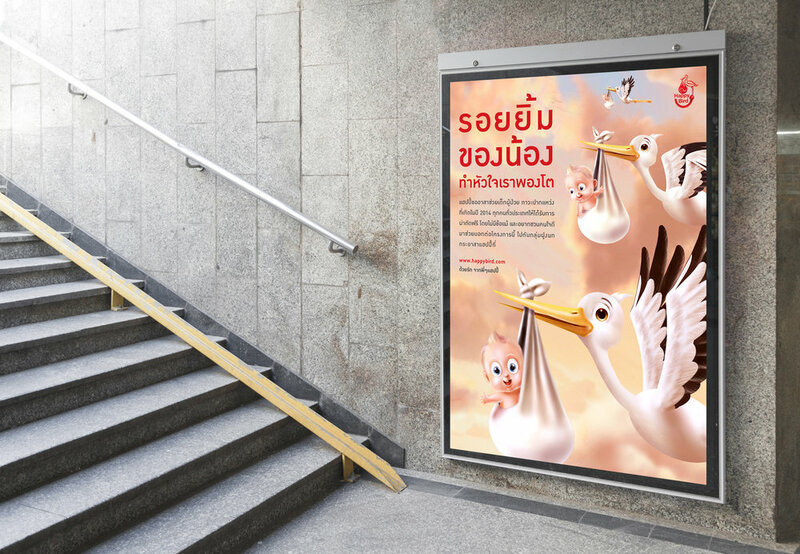 The story of stork appeared on various media channels, including billboard, leaflet and mobile app to boost surgical rate of the children. 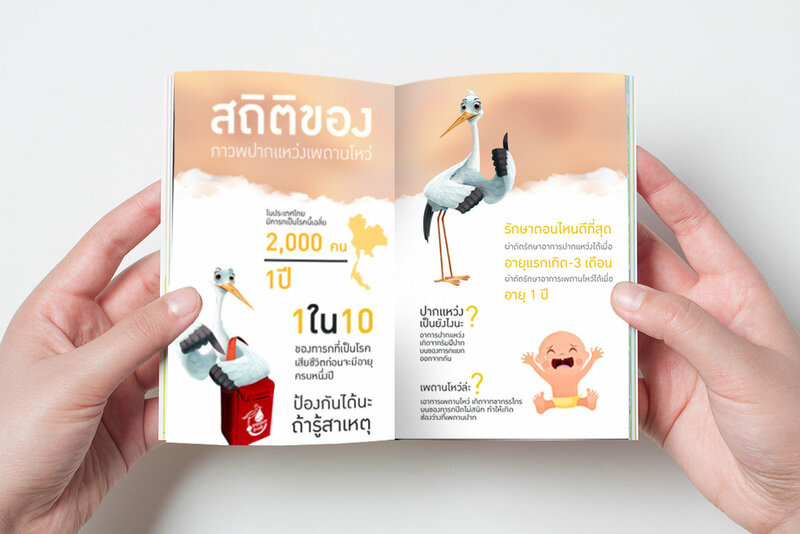 As the campaign’s mascot, the stork became a symbol of hope, smile, spiritual support and a new life of children with CL/CP nationwide.